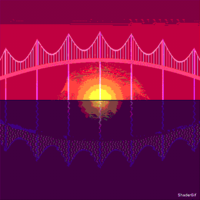 ShaderGif is a free and open source home for shader art. Want to get started with shaders in GLSL? No more gifs to load!